We offer a free, seamless integration with Magento. Now there’s no need to leave your Magento environment to connect to carriers and create and print your labels. Saving you time. The SendMyParcel.com delivery plugin gives your customers the choice to decide how, when and where they want to receive their parcels. 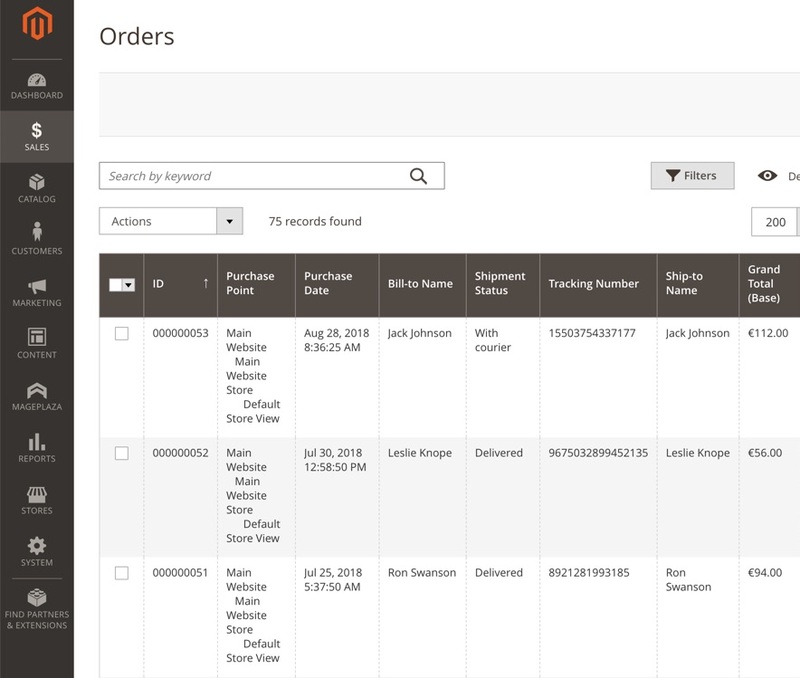 Tired of having to copy and paste your shipment details or moving between browsers and systems to prepare your shipments? Upload your orders, create your shipping labels and book your carriers - with just one click from your Magento back office. 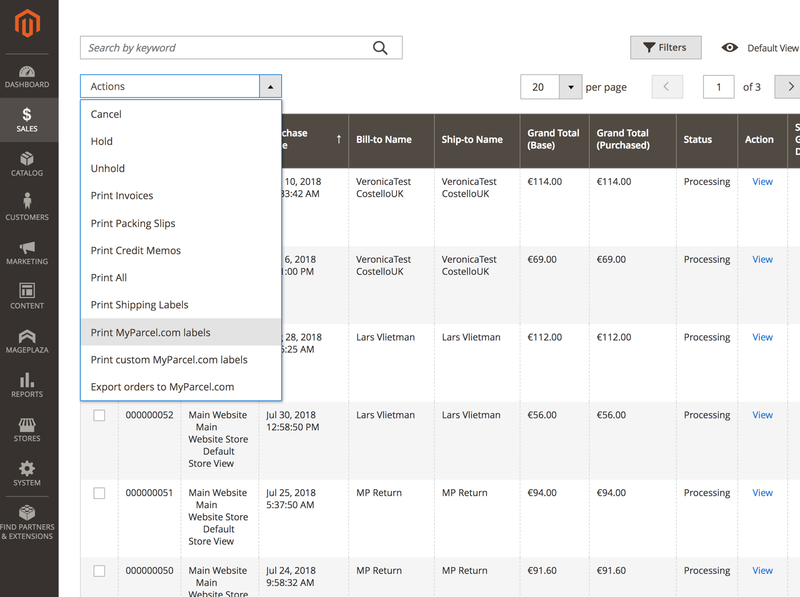 Tracking your shipments from the Magento back office has never been easier - track ALL of your shipments from multiple stores, together and in real time. Use the native Magento tracking mail templates or let SendMyParcel.com send the branded tracking e-mails. Whatever suits you best. Set yourself apart from your competitors, our plugin makes it easy for your customers to choose from different delivery options such as in store collections, home delivery or even evening or express delivery. 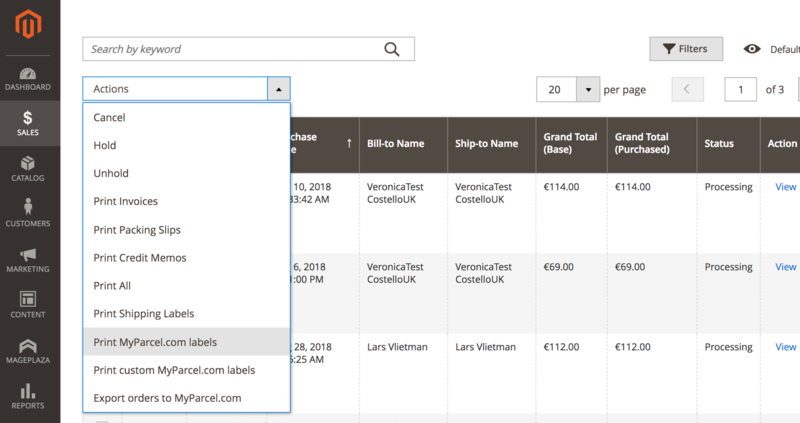 Add options for additional paid delivery services for your customers in the check out - use the SendMyParcel plugin to give your customers control over their delivery options.